In order to launch your website, you need three things. First, you need a domain name. This allows people to find and connect to your website. For instance, because I own marketingfortherapists.org, you can just type that into your address bar and come to my website. Second, you need to choose the software you will use to build your website. I recommend a software called WordPress, because it’s free, powerful, and very popular (it’s what I use for all of my own sites.) But there are other options. For instance, Weebly has a website builder that’s pretty easy to use, and you can always hire a professional who will build the website for you. Finally, you need to find a web host. A web host runs the servers that your website will live on, so it’s important to pick a good one. If you decide to build your website in WordPress, you will have lots of options for web hosts. If you choose to build your website using another option, then web hosting is probably included in your web builder. For instance, when you pay for a Weebly website, your payment covers both the Weebly software and Weebly web hosting. Of course, you don’t need to figure out how to do this on your own. I have three guides that will walk you through this process. 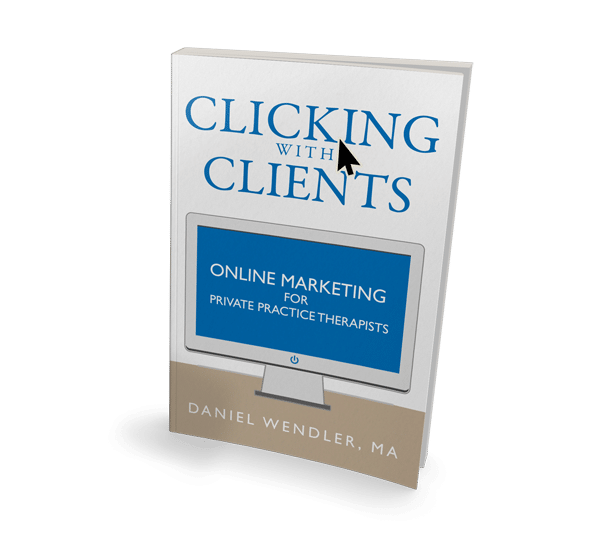 My first guide, “Domain Names For Therapists” explains how to choose and register a domain. My second guide, “WordPress Hosting For Therapists” explains how to choose a good web host if you chose to build your website in WordPress. 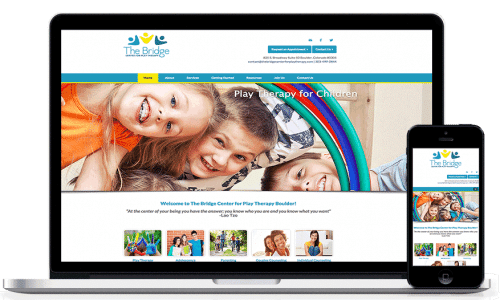 And my final guide, “WordPress Alternatives For Therapists” offers some other options for your website if WordPress is not right for you. Choosing a good domain is hard. Fortunately, I’m here to help. In this guide, I explain why you need a domain name, and how to choose one. I also give tons of formulas that you can use to find the perfect domain name for your therapy clinic. I recommend that you build your website in WordPress, because WordPress is powerful, easy to customize, and very well supported. WordPress is free software, which means you don’t have to pay anything to use it. However, you do need to pay for a web host to run your website on their server. In this guide, I offer two recommendations for WordPress hosts, and help you choose the host that is the best for you. WordPress isn’t for everyone. Fortunately, there are other good options for building and hosting your website. In this guide, I talk about Weebly, Strikingly and Brighter Vision, and explain the pros and cons of each option.